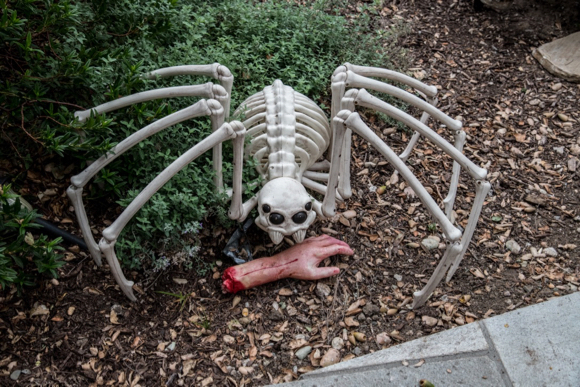 Is this the scariest Halloween front yard in Menlo Park? 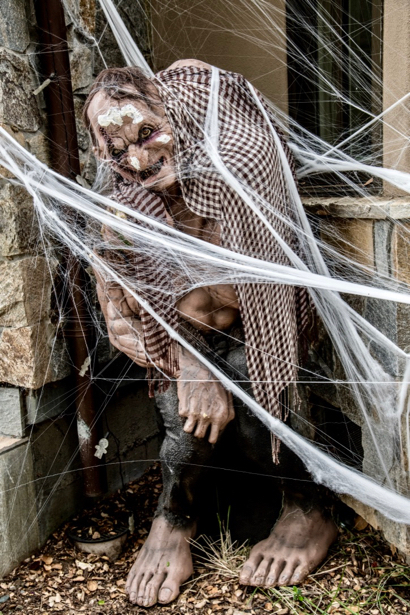 If you dare, take a walk on Laurel St. between Glenwood and Encinal Avenues, and you’ll pass a front yard chock-a-block with every kind of ghost, ghoul, monster — and even a President or two! 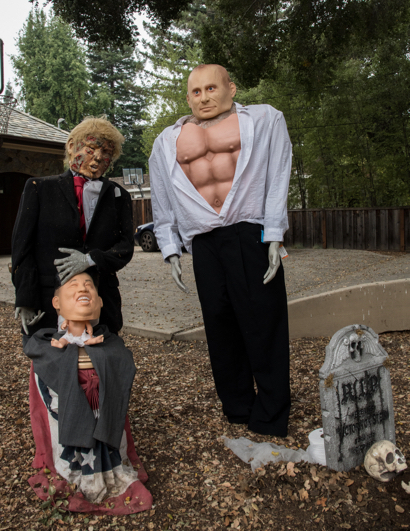 It’s one of Menlo Park’s spookiest Halloween front yards, all the inspiration of Greg Hyde and his children. The characters that populate the front yard grow in number each year, and most are handmade by Greg and the kids. “We started with a little bit of stuff a few years back,” he said. “We made a Frankenstein out of paper mâché. Then I got a bunch of things from my sister that we turned into witches. Some of the figures move, often ingeniously, such as a plastic bag that controls a witch’s arm. Greg promises some additional lighting this year along with a new pirate, brown skeleton, and mummified body. “It’s not the Halloween stuff you see in stores,” he underscored. As we said, walk by if you dare!